REGISTRATION IS CURRENTLY OPEN FOR THE 2018/19 SCHOOL YEAR. To fill out the registration forms online, continue below. 7430 Redwood Blvd. suite D Novato, CA 94945. If you have any questions or concerns you would like to discuss with us, please feel welcome to contact us. You may also request that an application be sent to you in the mail by calling our office 415-878-6770. 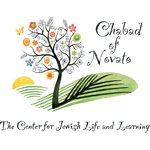 Please note: Your child is not registered in the Chabad Hebrew School until you receive a confirmation phone call or email. Please fill out a separate form below for each child.